SAVE $1.00 each when two or more buckets are purchased! Better than getting sand in your cell, non-electronically describe your day at the beach with a bucketful of ideograms. 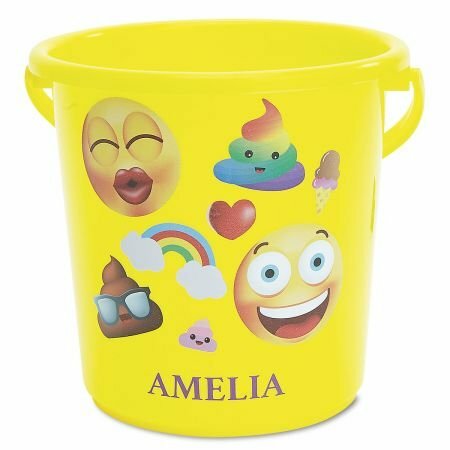 Bucket is 7"H. Specify name up to 12 characters.